Through the ELCA emphasis of “God’s Work, Our Hands” join us on Sunday, September 11th following worship service and a light lunch we will be going out into the neighborhood, bringing God’s presence as we serve one another in our community by picking up litter. The following Sunday, September 18th, we will gather at the River City Star and enjoy a boat ride, service and fellowship. To learn more details and other Grace News, click the link and read on. August can be a busy time of year, getting the students ready for their ultimate return to school, trying to fit in those last minute getaways before the end of summer. Consider joining lively conversations with Grace and St. Luke’s Lutheran Church every Monday, beginning August 8th, for an Adult Study, “The Lutheran Course”, for seven sessions. To read more information regarding this study, click on the link to the Grace Messenger below. July continues to be a busy month at Grace as we continue working with youth in the Kids At Work summer program, reflecting on the Vacation Bible School experience, and looking forward to July’s Family Friendly Movie Night. There are many exciting adventures to read about in the current issue of the Grace Messenger; including Kids At Work, Movie Night, a One Day Vacation Bible School Event with a barbecue to follow and so much more. Summer is an awesome time to gather together have some fun while sharing and teaching in the Love and Word of God. Together, join both Grace and St. Luke’s at Grace Lutheran Church on Maundy Thursday for a potluck dinner served at 5:30pm and the worship service at 6:30pm. Good Friday service will be held at St. Luke’s Lutheran Church, 2315 I Street, at 6:30pm. Celebrate Easter Sunrise Service at Grace Lutheran, Sunday, March 27th at 6:30am with a breakfast meal to follow at 8:00am. Lent begins with a solemn call to fasting and repentance as we begin our journey to the baptismal waters of Easter. The Councils of Grace and St. Luke’s have decided to combine our Lenten worship journey this year. 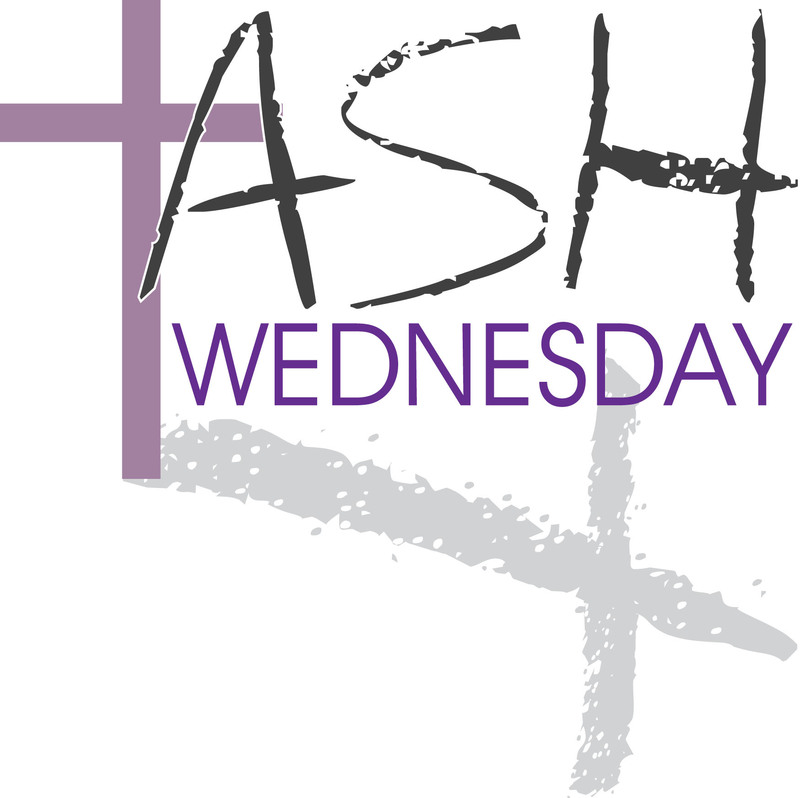 We are hopeful that you will be supportive of this joint effort during Lent. Together we will encourage one another. Together we will develop new friendships and relationships. Please decide now to participate in this combined Lenten observance. 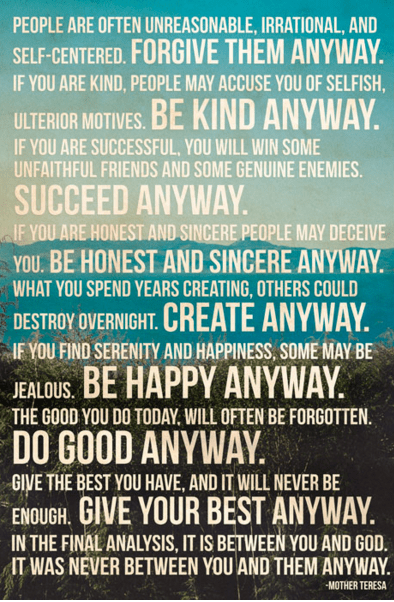 This inspirational message was found written on the wall of Mother Teresa’s home for children in Calcutta and is widely credited to Mother Teresa herself. Happy New Year! Click the image to enlarge it.